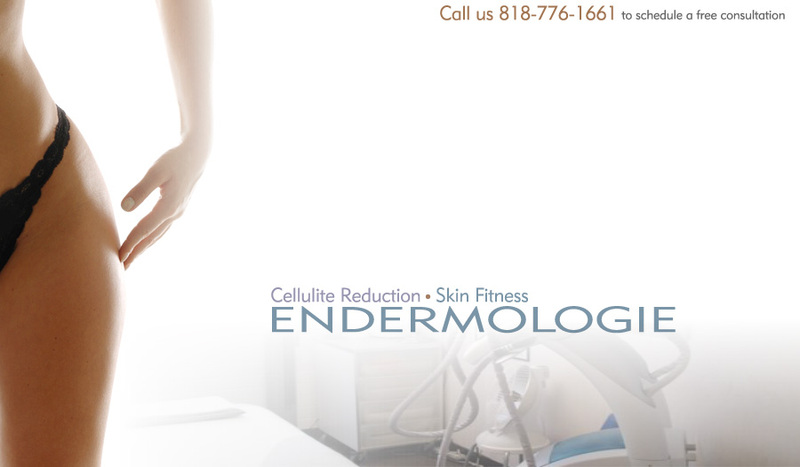 LPG Endermologie is a process THE INNER HEALTH AND WELLNESS CENTER uses to reduce cellulite, or to achieve complete cellulite removal. In addition to being an effective cellulite treatment, it provides body sculpting to other problem areas, and may also help relieve fibromyalgia pain. Quite simply, LPG Endermologie is the science of cellular stimulation. LPG Endermologie takes a non-invasive approach to stimulating your blood supply and it's circulation, using a technique that has been proven safe and effective, to help in cellulite reduction. To accomplish this cellulite treatment, our trained and certified technicians at THE INNER HEALTH AND WELLNESS use LPG's top-of-the-line, state-of-the-art device...Cellu M6. This device applies an accurate, computer-controlled rolling and suction action that feels like a deep-tissue massage, that helps to revitalize the skin, and stretch underlying fibers...all for the end result of cellulite reduction. However, the LPG Endermologie experience is more than just a cellulite treatment. There are a multitude of benefits that will aid in your overall body sculpting...such as giving your curves more contour, and reshaping your body's problem areas. Some additional benefits include: reduction of love handles, loss of inches, collagen production stimulation, expelling of toxins, metabolism acceleration, and may even alleviate fibromyalgia pain. When you come to THE INNER HEALTH AND WELLNESS CENTER, we promise...no painful lipo surgery, no messy creams to apply. There are no adverse side effects or post-treatment downtime. You merely get up, get a refreshing drink, walk out, and go about your day feeling relaxed and energized. THE INNER HEALTH AND WELLNESS CENTER serves a vast area that encompasses the cities of: Tarzana, San Fernando Valley, Agoura, Calabasas, Woodland Hills, Canoga Park, Encino, Reseda, Van Nuys, Northridge, Sherman Oaks, Studio City, Westlake Village, West Hills, and Chatsworth. Also the cities on the Westside like Santa Monica, Beverley hills, Brentwood, Bel Aire, Hollywood Hills, and West Los Angeles. Results vary from person to person, however an average person will begin noticing the changes after about 6-8 sessions. We recommend anywhere from 10 to 20 treatments for best results. It is a relaxing and pleasant massage-like treatment. The suction can be adjusted to fit your comfort level. Do diet/exercise get rid of cellulite? NO! Diet and exercise affect the deep fat layers, while the cause of cellulite is within the subcutaneous layer. Even women that exercise regularly and follow strict diets may still have cellulite. © 2019, Design By: Digital marketing agency Los Angeles | Ontrix.